Great for drilling holes with exact accuracy, drill presses perform on a fixed stand so that there is no mistake in where the hole is made. If you measure it right, then there is no risk of human error with this power tool. Save on drill presses and if you need replacement drill press parts, we offer discounts on those as well. 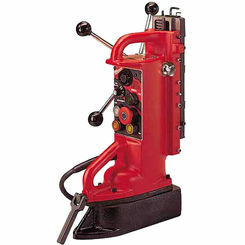 There are many types of drills and drivers, each with its own advantages and disadvantages. 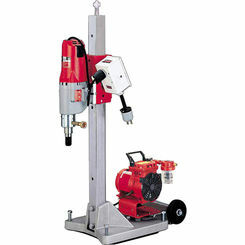 Though the drill press is not extremely portable, you cannot replace its ability for precise drilling. 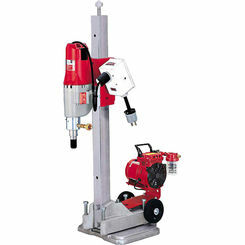 PlumbersStock carries both Milwaukee and Ridgid drill presses. 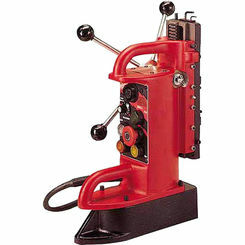 Accuracy – Drill presses are best known for their accuracy. Owning a drill press allows users to accurately drill and create evenly spaced holes of the exact depths, widths, and angles a design demands. This allows users to get the perfect hole every time and takes away the worry of human error, making them ideal solutions for users ranging from woodworkers to do-it-yourselfers. 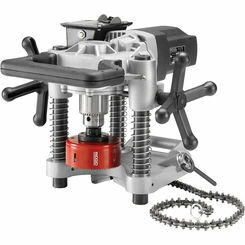 Speed – Drill presses work much faster than portable power drills. By automatically setting specific angles, depths, and widths, users can be sure they’ll get the precise hole every time. Since drill presses are automatic, once set, the user need not worry about working with caution or making mistakes, permitting the press to provide far greater speed than a hand drill. 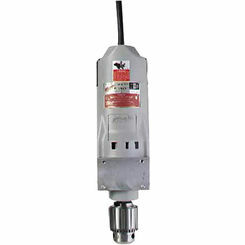 In addition, drill presses come equipped with more powerful motors that result in drill bits rotating quicker to deliver faster overall drilling. 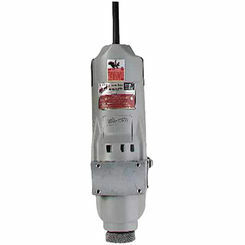 Power – The powerful motors on your drill press require little ton of effort on the user’s part in comparison to a hand drill. 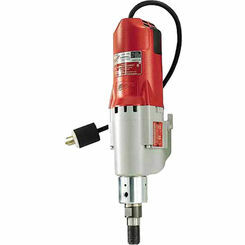 The stronger motor also allows the drill press to drill larger, wider holes in a snap. Without a drill press, drilling big holes can be a laborious and time-consuming process. By using the press’s power to their advantage, users can prevent fatigue and work quicker, more efficiently, and more effectively. 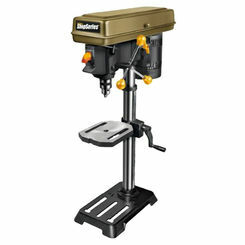 Unique Functionality – Unlike a hand drill, a drill press is accurate enough to drill precise, angled holes in wood. Trying to do the same without a drill press is challenging and can be disastrous for new learners. Additionally, drill presses work with odd and intricately shaped pieces of wood, such as furniture legs. This unique functionality makes this tool the smart choice for many projects. 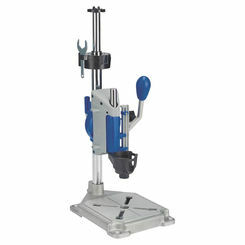 Versatility – Drill presses are most commonly used to drill holes into materials such as wood. 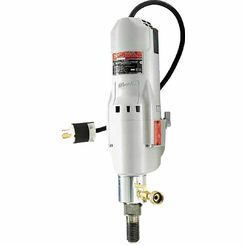 However, equipping certain bits or tools to your drill press converts it to a powerful machine with many different uses. For instance, if you fit your drill press with a spindle sander, your drill press goes from drilling holes to an accurate sander. Equipping a mortiser allows a woodworker to drill squares and rectangles instead of circles. The powerful capacity of a drill press means it’s even capable of drilling through tough materials like metal, stone, glass, and marble. Safety Matters – One of the biggest advantages drill presses have over handheld power drills is the simple benefit of being safer. The variable speed feature allows the user to set the speed and keep an eye on the drill bit to ensure it does not break during use. Additionally, the user can use a clamp to secure the material to the stage. This prevents the material from slipping and helps keep the user safe. If you’re in the market for a new drill press, PlumbersStock offers the highest-quality presses from trusted manufacturers Ridgid and Milwaukee at a fraction of market price. Take advantage of our low prices today and see why so many others choose to buy from us than any other wholesale provider online. If you have any questions or need help with your search, feel free to contact our friendly customer service representatives through chat, email, or phone and let us help you find the tools you need.